Located at the epicenter of many affluent trade routes between the East and the West, Dubai has played a dominant role for centuries in the international physical gold market, a dominance which has grown further over the past decades. Today, Dubai is known as the City of Gold. Emirates Gold, operating for more than 25 years in Dubai, is the most influential and respected gold refinery in the Arabic region. Our company, a pioneer in the gold industry, processes up to 200 tons of gold per year and is known for its solid reputation, finest quality product, superior client service and effective management. Thanks to the encouragement and support of the Dubai Government, Emirates Gold has been a major contributor to the rise of Dubai as a gold producer. 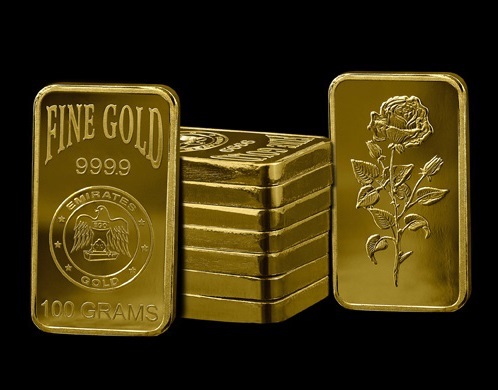 At Emirates Gold, we specialize in the processing of precious metals such as gold and silver and we also have a wide range of products, including various types and sizes of gold bars, coins, medals and other objects. Over the past years, Emirates Gold has rapidly moved up the ranks to a position of leadership, with a large share of the fine gold market. We are rated one of the top companies in the world in the field of gold and silver production. Our organization is managed professionally with qualified manpower and a clear vision. We provide the best training and facilities to our highly professional and technical staff. In 2005, Emirates Gold was the first refinery in the Middle East to be accredited the status of Dubai Good Delivery. Our processes meet worldwide standards and are certified by industry experts (including ISO 9001 for quality, ISO 14001 for environmental management, OHSAS 18001 for occupational health and safety management, and ISO 10002 for customer satisfaction). We take a lot of pride in the quality and purity of our final products. Our headquarter and only office is located in Dubai and we do not have affiliates, subsidiaries or partner companies.